Just one eye-catching advertising campaign can change everything for a burgeoning start-up. But in this day and age, advertising is inescapable. It’s on the tube, it’s on buses, it’s all over our phones and it’s in our ears. It’s a tough world out there and the most successful adverts are designed to cut through the noise and really stand out. But advertising a new business presents a particular challenge when you can’t trade off a familiar logo or branding like established companies. Consumers won’t respond to the same old stuff. That’s why you need to get creative. Take a look at these clever, funny, and powerful recent adverts from a few of the UK’s most notable start-ups. If they don’t inspire you, we don’t know what will. The more eagle eyed amongst you might have noticed an unusual sight in East London on April 1, taking advantage of the Mother’s Day spirit. Women’s tech start-up Elvie, which has launched a silent, wearable breast pump and a pelvic floor trainer, placed giant inflatable breasts on several rooftops in honour of its #FreetheFeed campaign, launched to help more British women feel comfortable breastfeeding in public. Though only there for the day, this ingenious campaign used humour to raise awareness of a sensitive social issue, and promote its revolutionary product. The Elvie website stated: “Every woman has the right to decide how and where they feed their children without feeling guilty or embarrassed about their parenting choices. “#FreeTheFeed is an invitation to stand with all those women that have felt shamed or confined when breastfeeding or pumping. “We want to empower women to feel safe and comfortable breastfeeding or pumping in public and encourage the British public to support them breastfeeding in public. 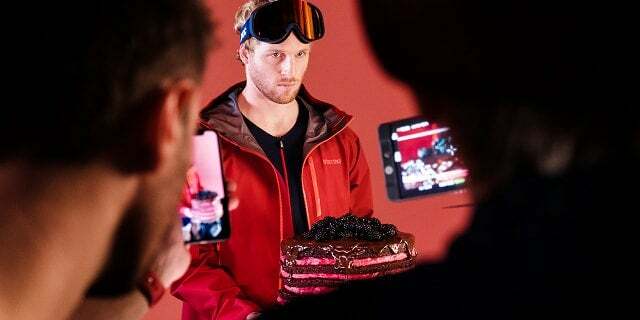 SportPursuit’s ‘Have a cake and eat it too’ campaign showed how a brand can use the power of data to tailor every aspect of an advert to a target audience. The company, which offers exclusive week-long deals on a range of high-end sports brands to its four million members, worked with growth marketing partner DCMN for creation and production, TV media buying and planning, and optimisation using DCMN’s in-house attribution technology DC Analytics. This data-driven approach was used to cast an actor that most resonated with SportPursuit’s target age group. DCMN surveyed 250 representative consumers and asked them to choose between photos of three male models. This meant that SportPursuit could create the advert with absolute confidence it would appeal to the right customers. You might have seen these amusing adverts on buses across London from Muslim dating service muzmatch – backed by venture firm Hambro Perks. Here, they’re relying on the familiarity of two hugely popular global artists – Lionel Richie and Adelle for those who aren’t so pop-culture-savvy – to catch people’s attention and then subvert expectations. Created in-house, the ads were designed to appeal to non-Muslim’s, and counter the prevailing depiction of Muslim life in the media. “Key to our campaign was appreciating that many non-Muslims would see these ads, hence something that showed this particular aspect of Muslim life in a positive light with a dose of humour and originality was critical for our ad to stand out for the right reasons. 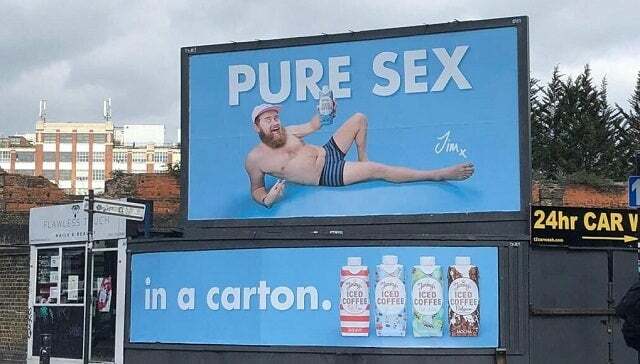 Daring humour isn’t going to work for every brand. Founders of law firms should almost always keep their clothes on in the spirit of professionalism, but the approach is a perfect match with Jimmy’s tongue-in-cheek marketing. The brand built on this awareness by getting out on the streets to hand out free cartons of coffee. Starling Bank’s witty advert says exactly what you wouldn’t want a bank to say, but it works. 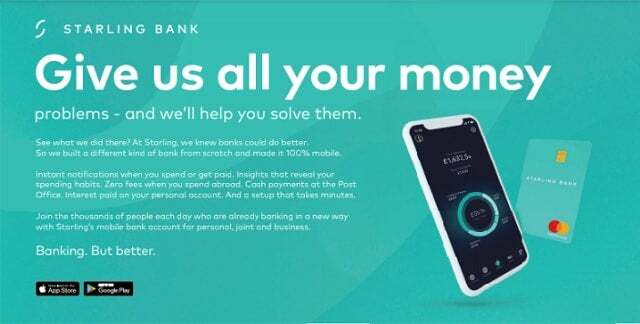 With trust in the banking sector still not fully recovered after last decade’s crash, Starling pitches itself in direct opposition to the more unscrupulous players in finance by sending it up. Instead, the brand appeals to contemporary consumers by highlighting its mobile-only, transparent service, which offers much greater control to its users. 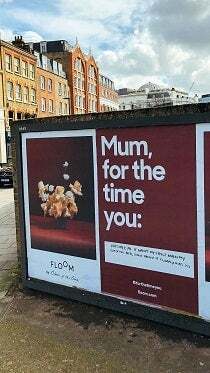 Online flower delivery service Floom piggybacked on Mother’s Day at the end of March, one of the brand’s peak periods of the year, with this poignant and effective campaign. 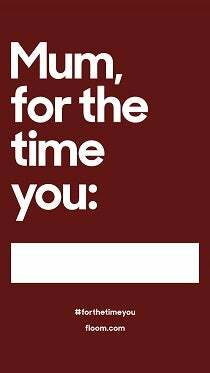 Titled ‘Mum, for the time you…’, the campaign featured artwork as an open letter to Mum’s, encouraging people to respond to the blank message. For example, ‘Mum, for the time you… were always there for me’. 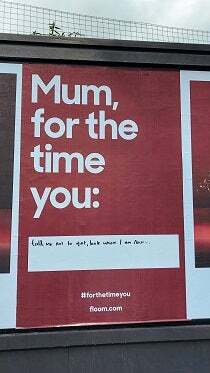 The campaign artwork was fly posted around key areas of the city of London, encouraging people to write their own messages after ‘Mum, for the time you…’, whilst acting as a fitting reminder for people to thank their Mum’s for all they do for them ahead of Mother’s Day. Lana Elie, CEO, said: ” The artwork for the campaign was accompanied with an image of a Floom floral bouquet so the public could make the connection between the message and consider treating their Mum for Mother’s Day. This campaign aimed to inspire an emotional, thought-provoking reaction from the audience by asking a question. “Floom wanted them to think about their Mother’s Day message, which ultimately resulted in a campaign that encouraged shareability and increased Floom’s brand awareness. The campaign managed to achieve some great emotional, engaging and also humorous responses so it was considered a great success! Finally, there’s this bold campaign from online mortgage broker Habito. These ads on the London underground were released alongside two new 10 second TV ads aimed at further highlighting the plight of UK mortgage-holders and would-be homeowners. The ads depict characters overwhelmed by the physical manifestations of anxiety and stress caused by the traditional mortgage process, who are saved from “death-by-mortgage” by using Habito. 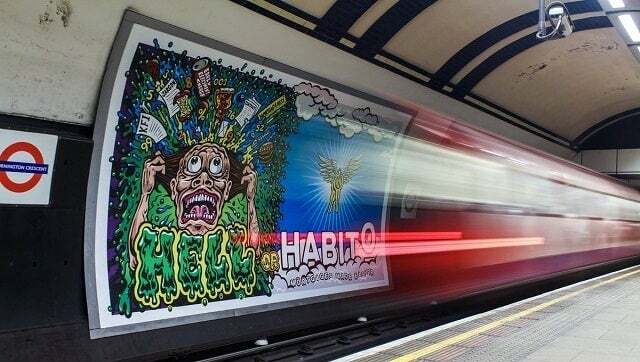 Abba Newbery, chief marketing officer at Habito, said: “Our ads are deliberately colourful, playful and irreverent. But while the scenarios are heavily dramatised they reflect an all-too real truth: that people find the process of getting a mortgage utterly hellish. Our insights tell us that two thirds of people suffer from mortgage stress and £15.5bn is wasted on mortgages every year because homeowners are paying too much interest.